Lupin encounters a magic lamp. 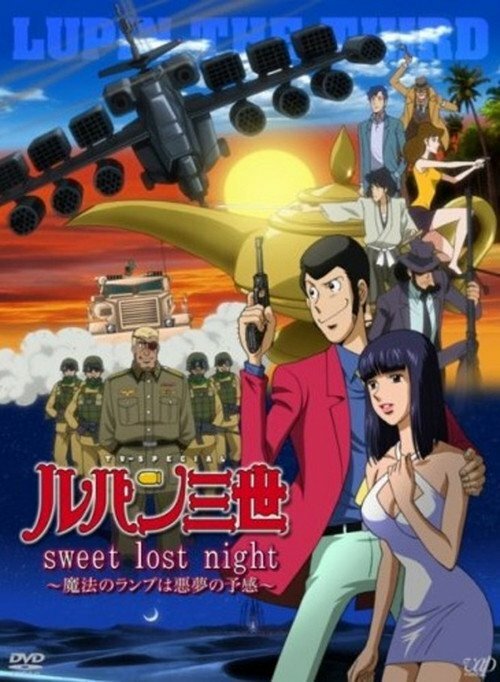 Sweet Lost Night is a great adventure with Lupin III. The title is appropriate, as the twist here is that Lupin can't remember anything that happened during the night. Twelve hours are a blank to him, and some additional memory wackiness comes into play as well, as someone is stealing memories. This sets up some great stuff, as Lupin scrambles to find out what he did during that time. A very cool narrative device, it sets up some nice gags as well as keeps the intrigue going for the main plot. Lupin even writes on his body to try and remember things, à la the film Memento. The star of the show, Lupin, is portrayed very well here. He's slick, cool, funny, a fool for love, and he takes all the craziness going on around him in stride. Lupin's partner Jigen is great in this, he's always there to help in a jam. 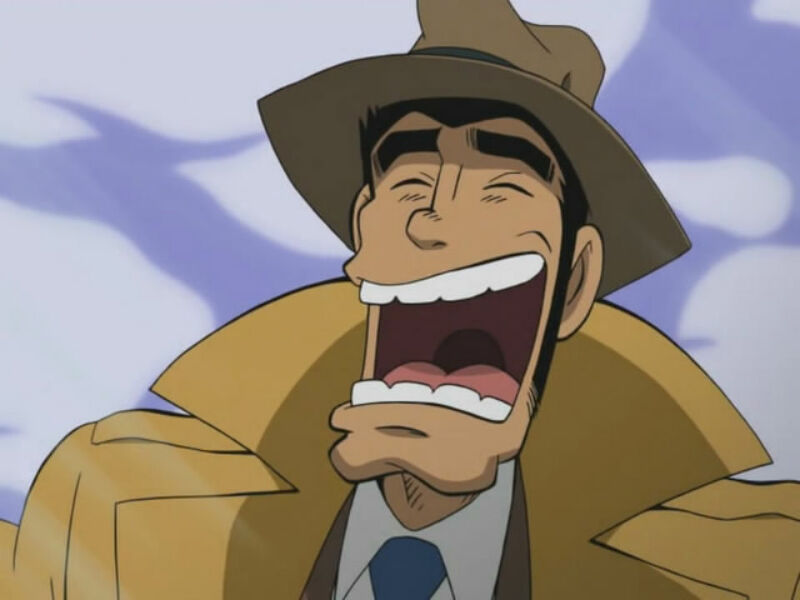 The lovable cop Inspector Zenigata has some really entertaining stuff in this too. Goemon is also used to great comic effect here. Fujiko is used a bit differently than of late, here she's against Lupin. This fun rivalry is an amusing aspect of their complicated relationship. This plot involves a magic lamp, and a girl named Drew. She's a pretty straight forward guest heroine, although she does have some fun flirty humor with Lupin. Pretty much, this has all the aspects you'd expect from a Lupin anime. It has car chases, over-the-top action, lots of great comedy, and some brief emotional moments to give it some weight. It's all done with a fast thrill-a-minute pace too. The atmosphere is great, lushly animated with fantastic music and voice acting as always. A great action/adventure with a clever twist, this one is a lot of fun. Give this a watch, it's must see anime.